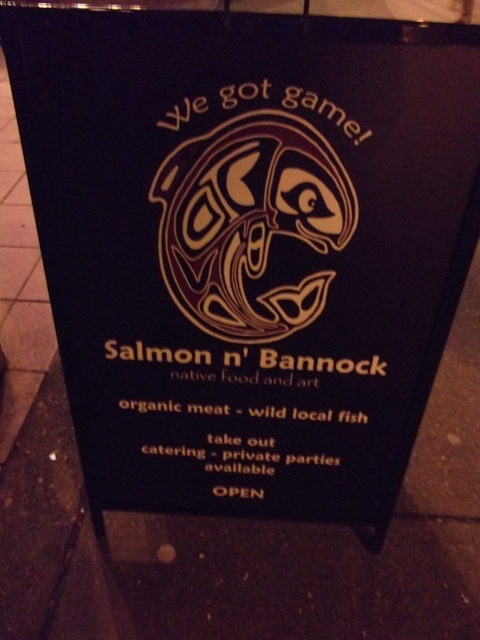 Salmon ‘n Bannock is a restaurant on Broadway between Granville and Oak (a longish stretch, but I can never remember the smaller streets in between), and it’s been there about a year and the whole time I have wanted to go, but for whatever reason had not. 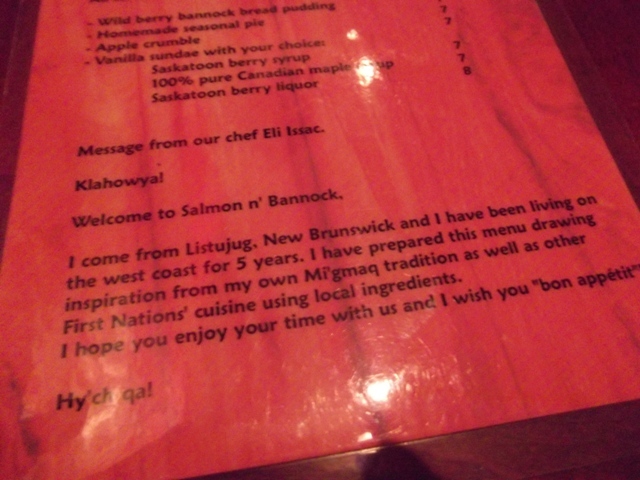 Salmon ‘n Bannock promised wild local salmon and game, and bannock, which is something I have loved since I was a kid. 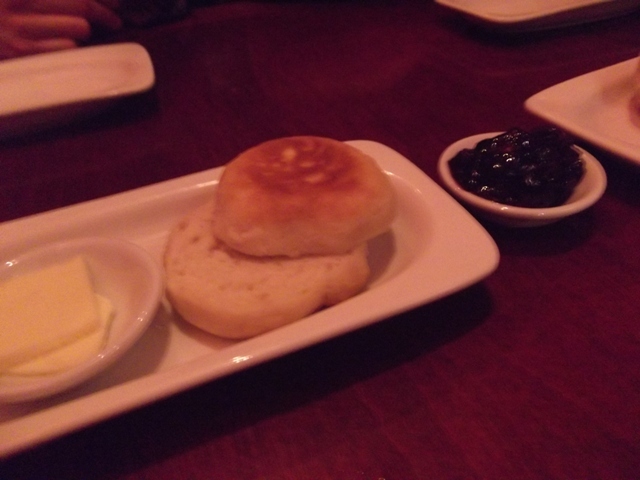 My parents had friends, one of whom was aboriginal, who introduced us to bannock, that gloriously fried bread spread with jam or golden syrup. I was hooked. But when they moved away, so did my bannock connection. I tried making it a few times, but as the years passed, I forgot what it tasted like and it never turned out good enough to trigger any sort of nostalgia. 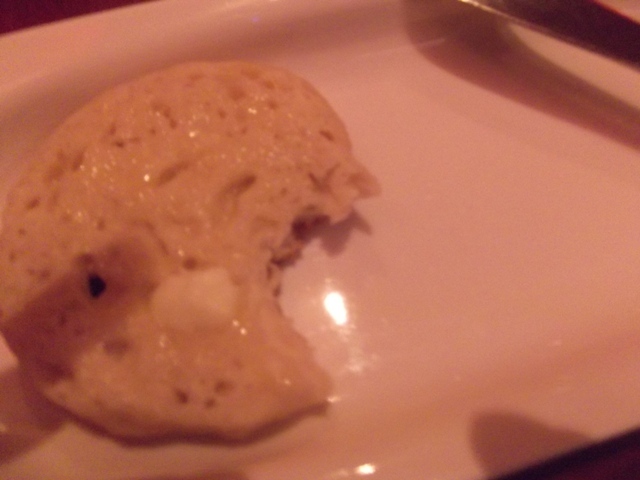 The bannock at Salmon ‘n Bannock was a little more refined than I remember, but tasted just about the same. We finally went because there was chatter about the place on the Twitters last week, and suddenly I remembered how badly I wanted to go. 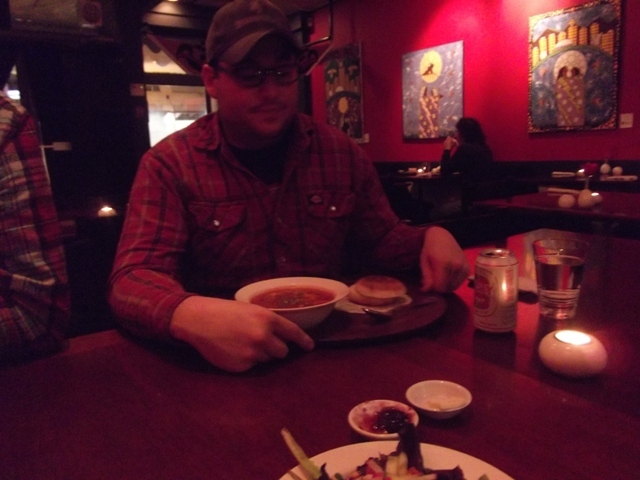 We went with Paul, which worked out excellently, as we were able to try a good selection of things from the menu. 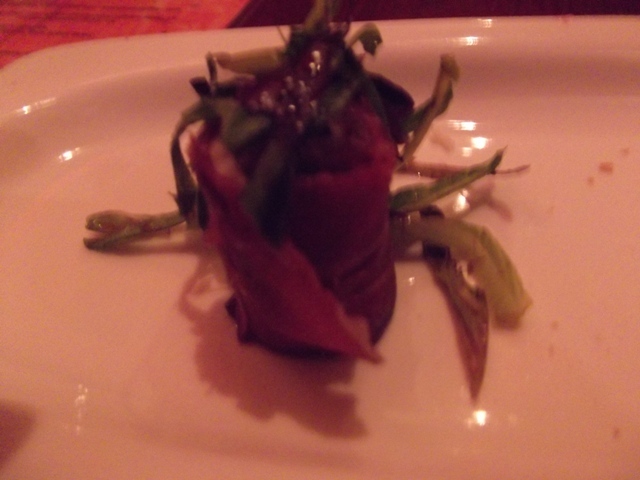 The first thing we tried after the bannock was the arctic prosciutto roll, which came stuffed with asparagus and Oka cheese. If I had one complaint about the place, it’s that the food wasn’t entirely seasonal, but generally that’s only of concern to me. We were delighted these. The prosciutto was made from muskox, and the Oka was creamy. It was a salty little bite, but a good one. 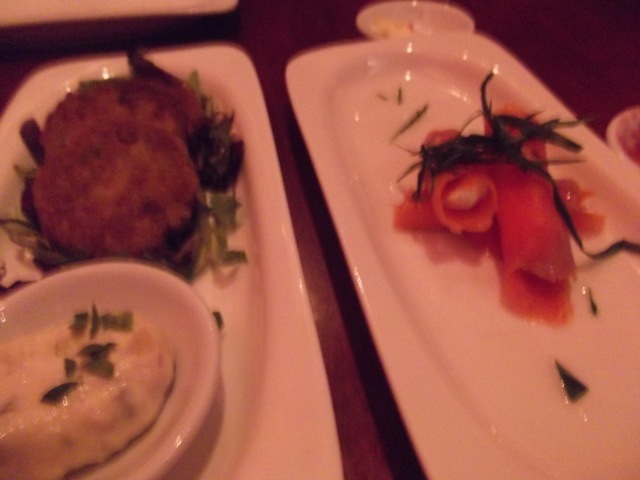 We tried the clam fritters and sockeye lox with cream cheese next, and both were delicious. I didn’t expect the clam fritters to look the way they did, but was pleased because one fritter offered four bites. They were soft, gently fried, and served with a caper-filled tartar sauce. Always a good thing. And the lox was so good I forsook my original entree, which would have been the bison tenderloin, in favour of a club sandwich with more smokey salmon. Paul had the seafood stew, which was filled with clams, scallops, and salmon, and Nick had the seared duck breast, because Nick always has the seared duck breast. 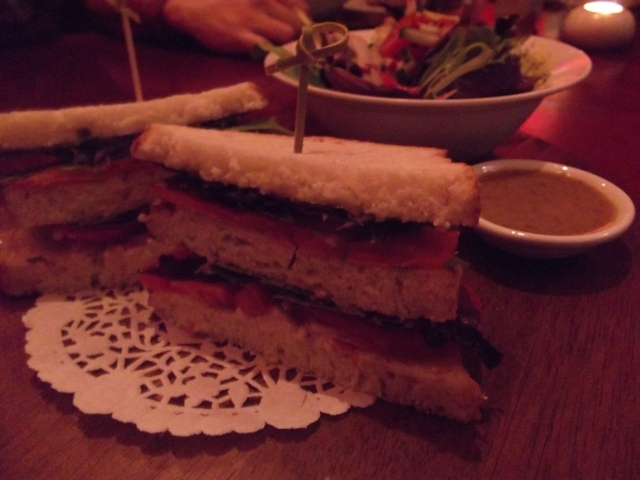 The food was simple, but expertly crafted. 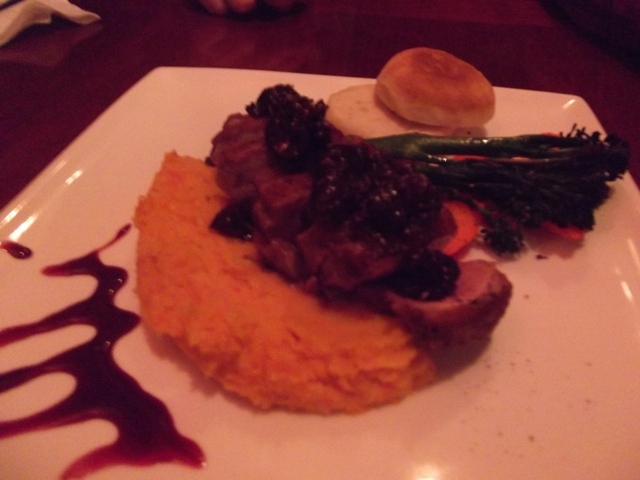 There were a few items on the menu that I’d like to go back to try – the deer stew was one, and I’d love to see how they prepare their salmon fillets. In the spring, they offer fiddleheads for a price that makes me wonder why I would ever buy them and make them at home. I was thoroughly pleased with this place, from the menu, which was small but full of good stuff, to the prices, which were more than reasonable. 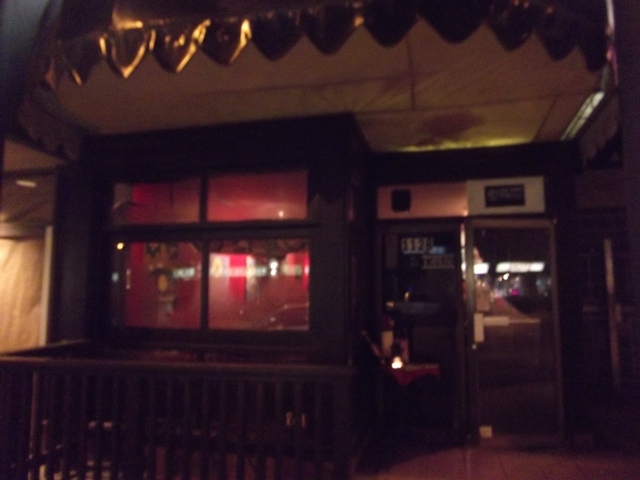 The service was helpful and friendly, but not intrusive. And they serve Lucky Lager, which tickled the two-thirds of our party that dined in plaid flannel and baseball caps. All in all, a delightful dinner, and a place we’d all go back to. If you’re in Vancouver, give it a try. Next > Yogurt cheese, smoked salmon, and canneloni. I read about this in the Straight when it opened and wanted to try it! One day we should take a day-trip to Whistler to eat bannock; there’s this great aboriginal cultural centre up there with AMAZING bannock! Let’s do it!! !